It's not often that I get out of the office to go to the launch of a new model; there are people better qualified than me to look at new boats, and often other commitments make it a bit tricky. But every once in a while it works out, and so when the invite came in to go to the premier of the new Rivale 56, and I had a couple of days window there were no good reasons not to go and lots of positive ones to schedule in the trip. 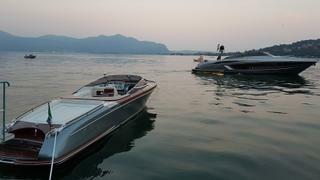 Most notably, this is the first new model in the Riva range since the passing of Carlo Riva in April this year. As with other recent Riva launches, the responsibility for this design fell to Officina Italiana Design — although the influence of Carlo over the brand that bears his name is still powerful. As such, the opportunity to make my first pilgrimage to the Riva facility and its spiritual home in Sarnico was not one to be missed. 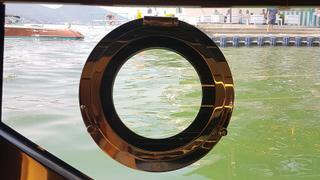 Riva’s base is about 90 minutes drive west of Milan on the shores of Lake Iseo, but a world away from the hustle and bustle of Italy's finance and fashion heartland. It is a picturesque holiday town but with a manufacturing base; Riva has been building boats around here for 175 years, and the facility is part working production line, part sales room and all historic epicentre for the Riva brand. The launch formed one element of a night that can only be described as a full on party, held in the shipyard itself. In true Italian style it was done with a combination of showmanship and passion. Ferretti Group doesn't seem capable of doing things by halves, bringing in Massimo Bottura from the three Michelin star Osteria Francescana in Modena to provide the catering, a 16 piece band playing party classics, a top quality DJ to spin tunes into the small hours, and rolling in the launch of an Abarth Fiat 500 695 Rivale limited edition (with a claimed top speed of 140mph) as part of the programme. And that’s not to mention Ferretti Group CEO Alberto Galassi taking to the stage later in the evening to perform a very competent rendition of The Eagles’ Hotel California. Following that segment I found myself reviewing my own parameters for what the role of a CEO is. 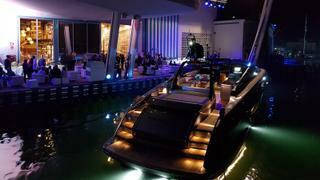 The centrepiece of the night, though, was undoubtedly the arrival of the new 17 metre Riva motor yacht. This was a launch as performance art, revealing its name as Rivale 56 — a moniker inherited from earlier model. The boat appeared from behind a large floating mirrored box (complete with eight avant grade dancers), which divided in two for the boat to emerge through, just as the musical medley culminated in the Duran Duran classic A View To A Kill. 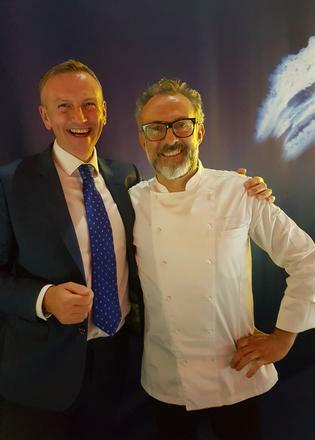 If you are going to launch a quintessentially Italian boat in an Italian shipyard, why not have a world class Italian chef, a good dose of drama, and a few hundred of your closest friends partying until the early hours? 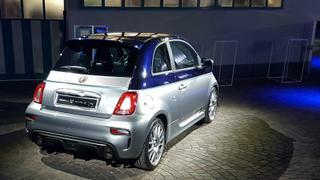 As with other Italian launches, it did feel like a fitting celebration. Perhaps a bit too much so, as we arrived sore-headed the following morning for a first look on board the Rivale 56 itself. 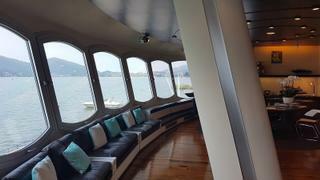 The overall impression is of a pocket superyacht. With a full-beam master and a generous guest cabin, both en-suite, plus a day head and a further space for either crew accommodation or bunks — it's pretty extensive for a 17 metre. For the first hull, soft furnishings were provided by Ivano Redaelli and Van Besouw, including tartan blankets and wall-to-wall carpets. Specification and headroom are high throughout, with everything from high-gloss mahogany panelling in the galley through to the on-deck barbecue providing a sense of generosity and luxury living. Everything is of course much more compact than on a larger boat, but it feels well thought out and with a clear vision of how the boat will be used, for weekends exploring Italian coastal waters, or similar, just further afield. The Riva brand heritage shines through, as the Rivale 56 is full of reminders of its distinguished antecedents. Take the stainless steel horn on the foredeck for example — styled specifically for this boat and but inspired by the same feature on 1960s Riva models. 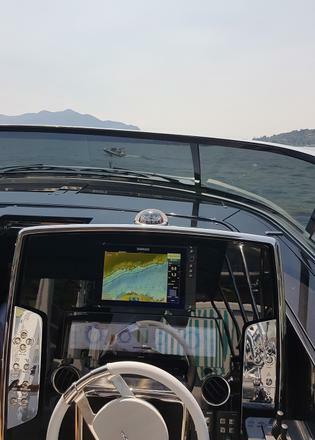 A spin around Lake Iseo, accompanied by one of Ferretti's Middle Eastern dealers, plus a current Riva-owning couple considering an upgrade to this model, was a great way to blow away some of the cobwebs. While we didn't put the Rivale 56 through the full range of its steps, we did enough to get a sense of its power and acceleration, all achieved with quiet efficiency thanks to a pair of 1,000hp MAN engines for a top speed of 35 knots. 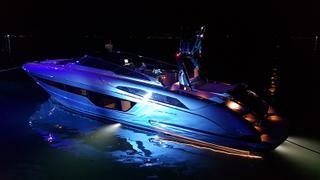 The yard will also be offering a more powerful twin 1,200hp version that should be capable of 38 knots. 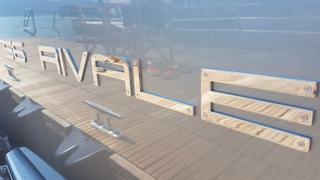 The Ferretti Group team is confident in the Rivale 56, and expects to be able to deliver around eight to ten per year. 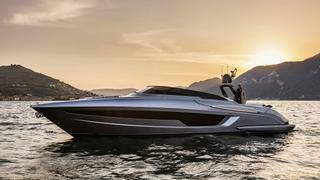 With prices starting at €1,800,000, it seems an attractive proposition, and one that fits in with the Riva legacy. I imagine Carlo would be proud.